LOCATION.--Lat 41°21'28.8", long 73°40'04.7" referenced to North American Datum of 1983, Putnam County, NY, Hydrologic Unit 02030101, on right bank 500 ft downstream from dam on Croton Falls Reservoir, 0.7 mi north of Croton Falls, 1.0 mi upstream from mouth, and 4.0 mi southwest of Brewster. PERIOD OF RECORD.--January 1994 to current year. REVISIONS HISTORY.--WDR NY-2005-1: 1996-97, 2003. Discharge for the period Dec. 20, 2017 to Jan. 6, 2018, was revised on Mar. 20, 2019, based on removing estimated discharges. GAGE.--Water-stage recorder, crest-stage gage, and concrete control. Datum of gage is 205.48 ft above NAVD of 1988. REMARKS.--Flow regulated by Croton Falls Reservoir. EXTREMES FOR PERIOD OF RECORD.--Maximum discharge, 2,720 ft³/s, Apr. 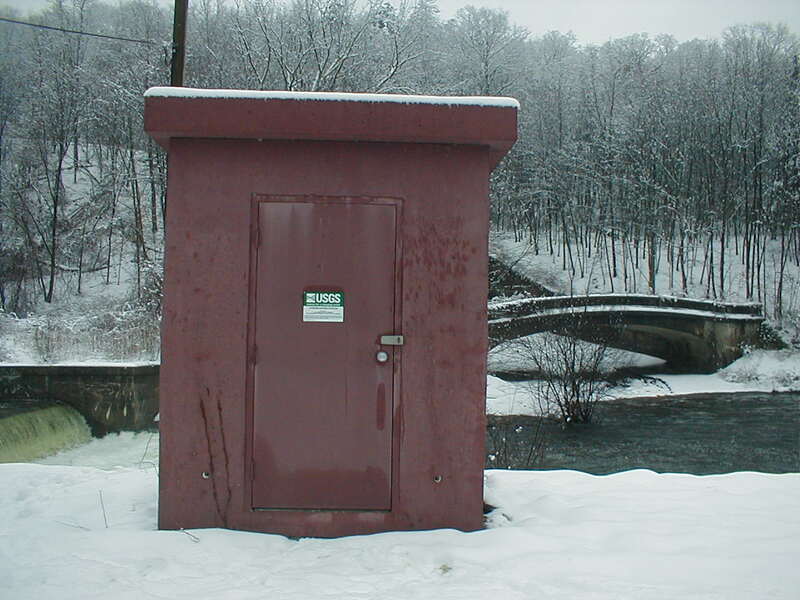 17, 2007, gage height, 7.51 ft; minimum discharge not determined.